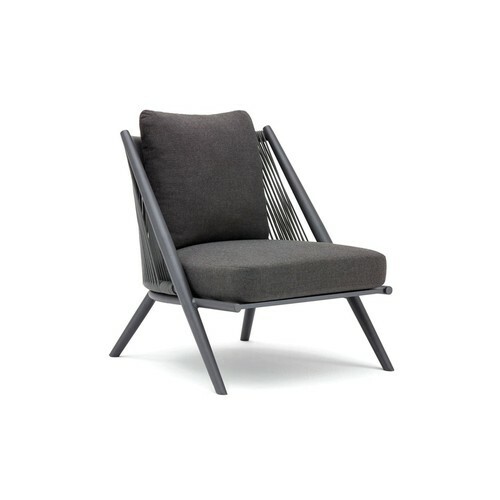 Armchair with powder coated aluminum frame and acrylic rope. 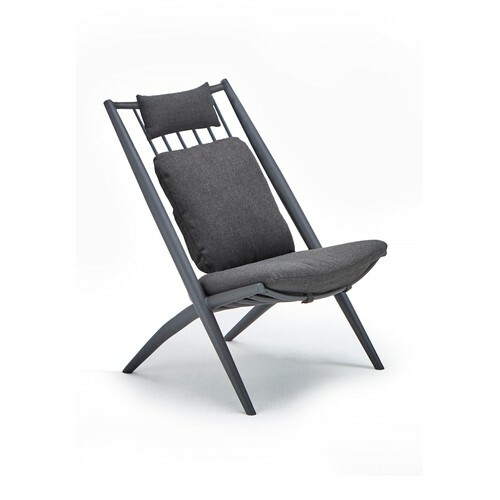 Aluminum armchair with withe frame, textilen and teak arms. 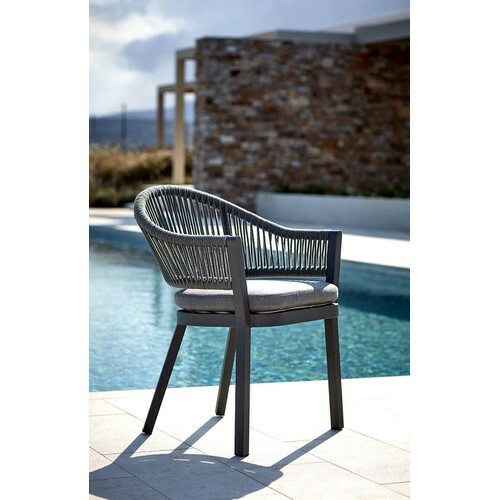 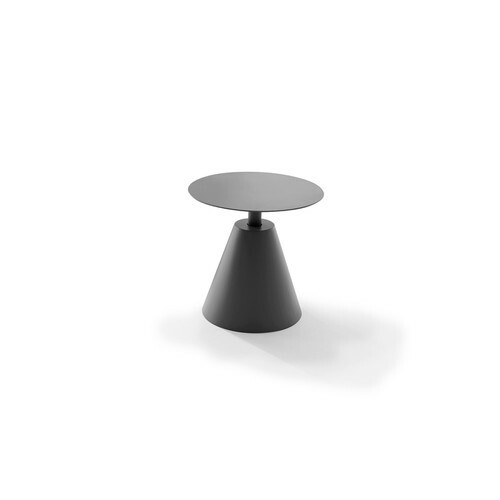 Armchair with powder coated aluminum frame, acrylic rope and waterproof acrylic seat cushion. 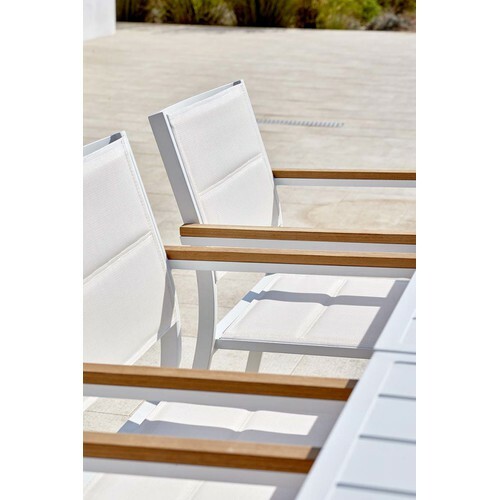 Stackable armchair with aluminum powder coated frame and textilen, in white color. 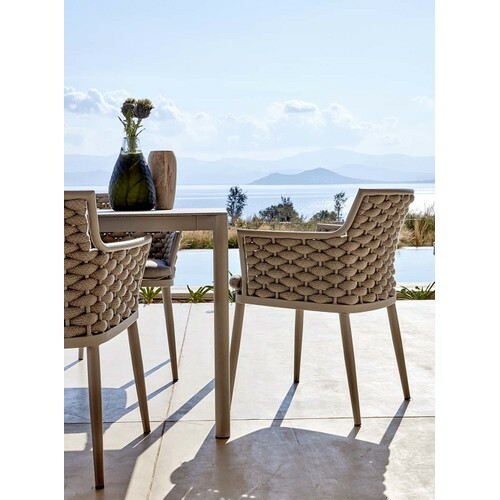 Stackable aluminum armchair with textilen in cappuccino color. 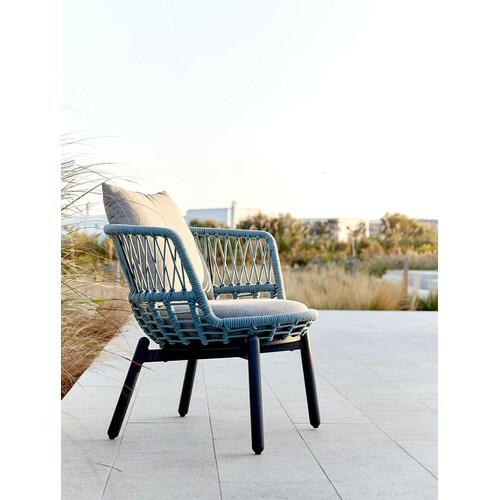 Aluminum armchair with textilen in white color. 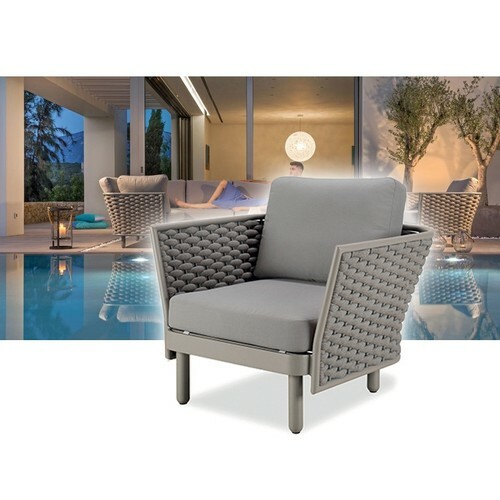 Lounge armchair with powder coated aluminum frame, waterproof acrylic ropes and semi-waterproof acrylic cushions.